Since inception in 1997, Royal Fidelity has been committed to helping clients create and manage wealth. We are your local private bank connecting Bahamians and Barbadians with the best in local and international investments. Collectively, we have helped clients raise in excess of USD $1.8 Billion in capital and we have $2 Billion+ assets under administration. Offering a wide range of investment products and services in Barbados and The Bahamas, our financial solutions are designed to help individuals and corporate clients meet and achieve their investment goals. 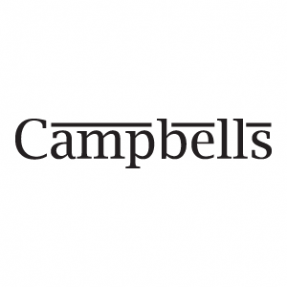 Campbells is a leading offshore law firm established in 1970. From our offices in the Cayman Islands, the British Virgin Islands and Hong Kong we provide comprehensive corporate and litigation advice and services to clients worldwide in relation to Cayman Islands and British Virgin Islands law. We are regularly trusted to advise some of the most prominent names in finance, investment and insurance and we are frequently involved in the largest and most complex transactions, disputes and insolvencies in both jurisdictions. Our team is actively involved in the development of Cayman legislation, sitting on various government financial services legislative committees. 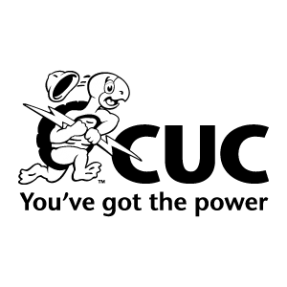 Caribbean Utilities Company, Ltd., known locally as “CUC”, commenced operations on May 10, 1966 as the only public electric utility in Grand Cayman, the largest of the three Cayman Islands, serving 758 customers. The Company has consistently powered the growth of Grand Cayman's economy, meeting the demands of rapid development for over 50 years. Today CUC serves over 29,000 customers and is considered one of the most reliable, safe and efficient power companies in the Caribbean. CUC is publicly traded on the Toronto Stock Exchange; Fortis, Inc. of Newfoundland, Canada is the majority shareholder holding approximately 60% of the voting shares outstanding. CUC currently has over 200 employees, 90% of whom are Caymanian. As a leader in the energy sector of Grand Cayman, CUC is pleased to be a partner in the Cayman Economic Outlook Conference, a premiere local forum with renowned international speakers, who present on diverse and interesting topics that impact the global and local economies. Dart is a global organisation with headquarters in the Cayman Islands. The Dart portfolio of companies is owned by Ken Dart and spans a range of industries including real estate development, hospitality, retail, entertainment, finance and biotech. Guided by the vision of Ken Dart, Dart has developed more than $1.5 billion in mixed-use, residential, commercial, recreational, educational and hospitality properties throughout the Cayman Islands. 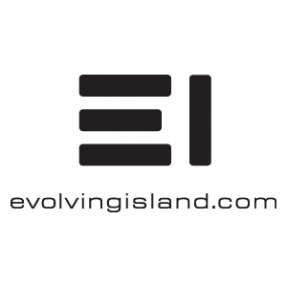 Evolving Island is a group of companies that provide professional services and expertise to the Property Development and Construction industry, both in the Cayman Islands as well as the rest of the Caribbean. Kariba Architecture and Interiors, Livingstone Construction Management, Copperbelt Development and Charterland Surveyors are key components of the Evolving Island group - each serving commercial, institutional and private clients as separate companies as well as coming together seamlessly to provide our joint expertise in all areas of property Development, Construction, Refurbishment, Interior fit-out, Valuation and Management. CEO is a key economic conference in Cayman, providing insight into the coming year to both businesses and the community at large. Fidelity is a financial services group offering a comprehensive range of both domestic and international banking, insurance and other financial products and services. A knowledgeable and experienced management team utilizes a local and global perspective for a well-rounded, objective and cosmopolitan business approach. With origins in The Bahamas since 1978 and in the Cayman Islands since 1980, Fidelity is an active, supportive and well respected participant in the communities it serves. 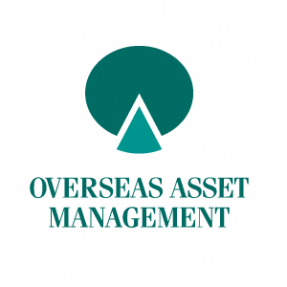 Founded in 1989, Overseas Asset Management (Cayman) Limited is an independent, boutique investment manager based in the Cayman Islands and regulated by the Cayman Islands Monetary Authority. We primarily manage two funds, OAM Asian Recovery Fund and OAM European Value Fund (both listed on the Cayman Islands Stock Exchange) with a long term value strategy. OAM Asian Recovery Fund is a fund of funds with a bias towards small and medium capitalization equities, and companies serving the burgeoning Asian consumer. OAM European Value Fund invests in operating companies, family-controlled holding companies and closed-end funds that sell at discounts to intrinsic value or net asset value, with the potential to grow earnings per share or net asset value significantly. Our long term, contrarian perspective allows us to invest in companies and sectors overlooked by the market. We pride ourselves on the long term performance of our funds and aim to generate superior investment returns for our clients. With more than 50 years of excellence in the Cayman Islands, PwC Cayman Islands provides industry focused assurance, advisory and tax services for public, private and government clients. Our primary area of focus is the international financial services industry. 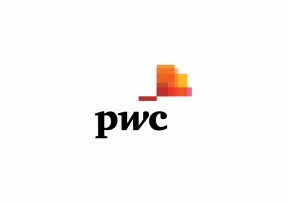 As part of a larger PwC network of more than 250,000 people in 158 countries, we work to provide clients with the best of the PwC network's collective thinking, experience and solutions to build public trust and enhance value for clients and their stakeholders. Yello is the leading provider of digital and print advertising solutions in the English speaking Caribbean. We believe in creating opportunities for businesses to thrive and strengthen their relationships with their clients. Our digital solutions and directory products give businesses the online and offline advantage of seamless connections with their customers. We offer an innovative suite of directory products and digital marketing solutions connecting the right businesses to the right customers at the right time. Yello covers 75 percent of the English speaking Caribbean with a print distribution of over 2 million across 17 countries. Our products continue to maintain their prominence as one of the most used directories in the region. Their reliability is unmatched, as we provide innovative solutions for our advertisers and the customers they serve. Our strong commitment to support endeavors which help the business community better understand the global market, and where it is heading, is just one of the reasons why we are delighted to partner with Fidelity CEO.